Call them token sales. Call them ICOs. Call them what you will, but they are all the rage right now in the blockchain space. 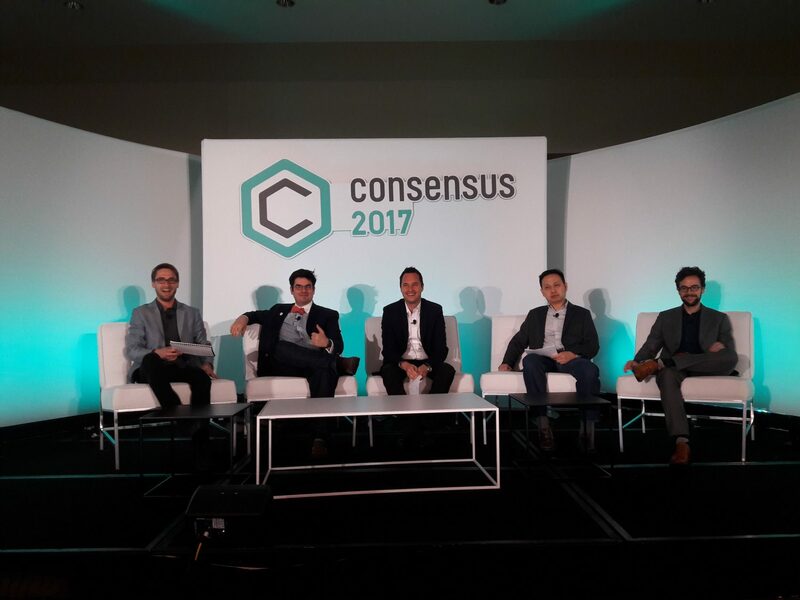 Consequently, they were what was on everyone’s mind and smartphone yesterday at CoinDesk’s Consensus 2017 conference in New York. For those who are new to the concept, token sales are emerging as a way for blockchain startups to turbocharge their bankrolls by issuing an asset specific to an application that either lives on a more generalized blockchain (such as the sale of Gnosis tokens on the ethereum blockchain) or exists as its own stand alone blockchain (such as the sale of forthcoming Tezos token). But into what legal realm do these sales fall? And are companies that chose to take the token sale route simply making themselves and everyone else in the space vulnerable to a regulatory crackdown? These were the questions that dominated a panel of legal experts yesterday afternoon. The main thing these companies want to avoid is creating and selling a token that acts as a security, according to Peter Van Valkenburgh, director of research at cryptocurrency advocacy group Coin Center. However, he argued many are stumbling right out the gate simply by referring to their sales as “ICOs” (short for initial coin offerings). If you disregard the nuances of the terminology, specifying what falls in the category of a security is actually still quite complex, and this debate inspired lively conversation among the panelists. All seemed to agree that one of the most important factors in determining whether a token offering falls into the category of a security is the extent to which its utility overshadows its potential as an investment. Ether, for example, is not only a tradeable commodity, it’s also a functional token on the ethereum network, one that a user must own and spend to trigger the execution of smart contracts on the platform. But if tokens are sold before a product even exists, as has been the case with many of the most high-profile sales, it is especially difficult to argue that it has utility. Thomas Linder, a partner at MME, a law firm based in Zurich, floated the possibility that in some cases these tokens could be interpreted as donations or as licenses granted to the buyer for future use on the platform from which they sprang. Meanwhile, Van Valkenburgh likened pre-sales to crowd funding mechanisms such as Kickstarter and argued that legal contracts stipulating the intended utility of the tokens could help nudge them out of the security zone. However, Preston Byrne, COO of distributed ledger startup and Hyperledger contributor Monax, was unconvinced, to put it lightly. His company, formerly known as Eris Industries, specializes in smart contracts that it bills as tailored specifically with the law in mind. Nor can the majority of the tokens on the market be compared to the rewards from a Kickstarter campaign, according to Byrne. Both Van Valkenburgh and Byrne, who have jousted frequently and ardently over this issue on social media, expect regulators to eventually crack down. And both imagined the crackdown to roll out in a way that’s reminiscent of the days of Napster when individual file sharers were targeted to set an example for the community. When asked what the best practices would be for a startup that is considering offering a token sale, the two opponents fell back into their trenches. “The token shouldn’t be about profit sharing,” said Van Valkenburgh. Meanwhile Byrne argued that the best way to be compliant in a token sale is not to have one at all. “I’d say, don’t do an ICO. Go call up Norton Rose or Allen & Overy and get them to do a securities issuance and use the blockchain as your back end,” he said. This approach may not only keep people out of jail, it’s also probably the best way to encourage regulators to consider making the changes that would pave the way for unequivocally legal token sales. In a presentation earlier in the day, Juan Benet, the founder and CEO of Protocol Labs, lamented the regulatory uncertainty surrounding the sale of blockchain tokens and credited it with a brain drain in the US. To that end, Protocol Labs is working on a project intended to devise a standard procedure for companies to follow when carrying out token sales, one that will keep them compliant with US regulations. The effort will focus on the riskiest type of token sale, those which are initiated before a product exists. The project is called SAFT, a reference to the yCombinator funding documents, SAFE (Simple Agreement for Future Equity) which inspired it.